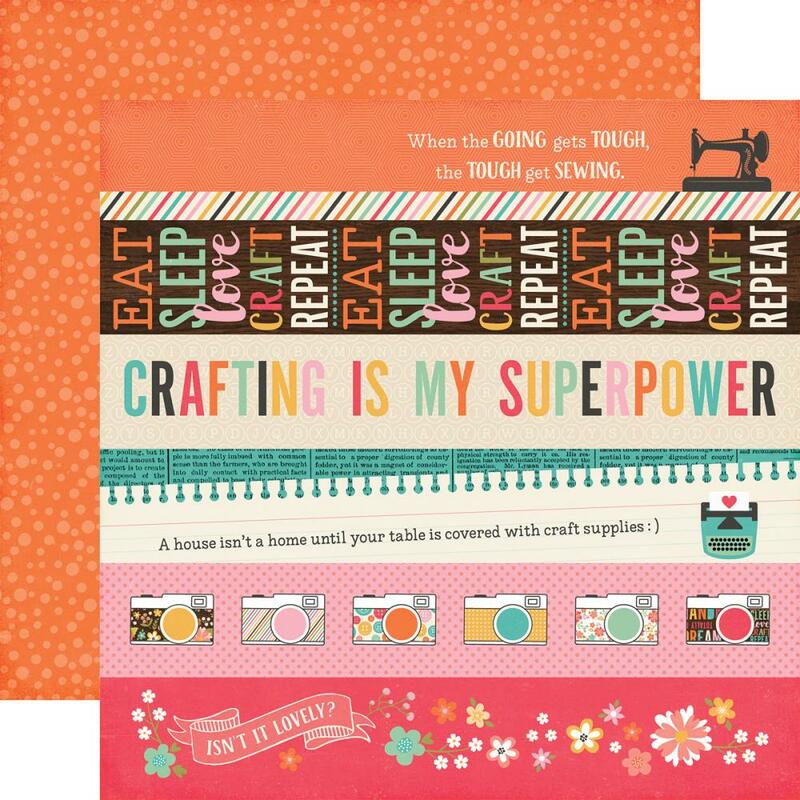 This 12x12 double sided paper has Borders Strips on the frontside while the reverse has splats of Dots on an orange background. Part of the I'd Rather Be Crafting by Echo Park Paper. Look for coordinating Papers & Stickers.